The Academic Staff Union of Universities (ASUU) may hold its postponed National Executive Council (NEC) meeting on Friday to decide whether or not to suspend the indefinite strike it began since July 2. A top official of ASUU, who preferred anonymity, disclosed this to Daily Independent in a telephone interview on Sunday. He was, however, not certain if the NEC will still be held at the Bayero University, Kano where it was initially proposed to hold. 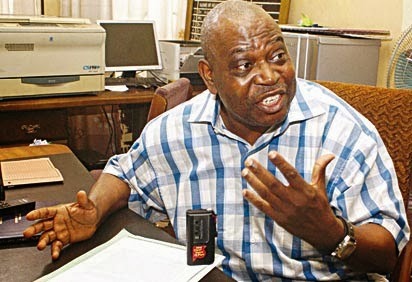 The leadership of the union postponed the scheduled Kano NEC meeting following the demise of one its key members, Festus Iyayi, who died last Tuesday in a ghastly motor accident on his way to Kano for the postponed NEC meeting. The source noted that the union members are still grieved and are pre-occupied with the burial arrangement of the late Professor of Business Administration, who died along the Abuja-Lokoja highway in an accident caused by the convoy of Kogi State Governor, Idris Wada. The source debunked speculations in the social media that ASUU has jettisoned its NEC indefinitely, saying the union postponed the NEC meeting as a mark of honour and respect for the late Iyayi. According to him, all ASUU officials that were supposed to participate in the NEC meeting last week Wednesday had actually gathered at the Bayero University, Kano, but for the unfortunate accident which claimed the life of Iyayi and disrupted the agenda already set for the meeting. Meanwhile, Supervisory Minister of Education, Nyesom Wike, also at the weekend led a delegation of government on a condolence visit to the residence of the late academician in Benin City.Wike assured that the Federal Government would diligently implement all the agreements it reached with ASUU in the course of the negotiations with President Goodluck Jonathan. Those in the delegation of the minister include Executive Secretary of the National Universities Commission (NUC), Julius Okojie, and some top officials of Federal Ministry of Education. They also visited the injured ASUU National Welfare Officer, Ngozi Iloh, who is said to be responding to treatment at the University of Benin Teaching Hospital, Benin. In a statement in Abuja on Sunday, the Minister’s Special Assistant (Media), Simeon Nwakaudu, said Wike solicited the permission of the family to allow the Federal Government participate in the burial ceremony of the former ASUU president. “President Goodluck Jonathan and the entire administration are deeply pained by the sudden death of the former ASUU National President who played a key part in the negotiations between ASUU and the Federal Government. “We recall the significant contributions of Professor Iyayi during the 13-hour negotiations between President Jonathan and ASUU, which led to a headway in the discussions. “I want to assure the family that the ideals that the late scholar fought and died for will never be forgotten. The Federal Government will diligently implement the decisions reached in the course of negotiations with ASUU. “The Federal Ministry of Education wishes to be a part of the burial of this erudite scholar and we seek the permission of the family to participate in the burial. I pray God to grant the family the strength to bear this unfortunate loss,” Wike was quoted to have said. Oriabure Iyayi, son of the late ASUU president, was said to have thanked President Jonathan, the Minister of Education and all Nigerians for commiserating with the family at their moment of grief. A relative of the deceased, Prof. Robert Ebiwele, informed the minister that the burial will hold between December 5 and 9. He assured that the family would inform the Federal Ministry of Education on the burial arrangements.